Just two short years ago, practically no one had heard of “augmented reality.” Then Pokémon GO exploded on the scene, and AR Gaming took off. More than 20 million people per day used the Pokémon GO app in 2016. Gaming is a multi-billion dollar industry, and the future of gaming is poised at AR Gaming because it works on mobile devices and almost everyone already has one. Traditional gaming systems like Nintendo, Xbox, and PlayStation require special equipment, and you are stuck in one room to play. AR Gaming offers gamers freedom and mobility and makes every room a battlefield or playground. Even though nothing has come close to the popularity of Pokémon GO, AR is still being used by millions of users each day. Snapchat offers photo lenses so you can dress yourself up and send fun selfies to your friends and family. Toy giants like Hasbro, Lego, and Disney, are banking on the future of AR Gaming and counting on this new technology to breath new life back into old toys. By 2021, experts predict that we will see major growth in this industry with gaming companies focusing most of their budget and energies on AR-based products. This year, Apple, Google, and Snapchat released their AR platforms and opened the door wide for gaming developers to produce a variety of apps, games, and features. Back during the Pokémon GO craze, with so many people staring down at their phones while interacting with the world, as expected, there were a few accidents. Accidents included distracted drivers and pedestrians on the streets. The media ran with news of the dangers of AR Gaming, which gave the public the opinion that AR wasn’t safe. However, this was simply an isolated incident using this one application. Mainstream acceptance of anything often takes time. The initial AR push and the popularity of Pokémon GO set the perception of AR Gaming as being hazardous and slowed its growth. During their 2018 developer conference, Apple highlighted the gaming opportunities that AR offers and continue to encourage and inspire developers to use this technology in their gaming apps. Apple’s support of AR helps to balance public perception. 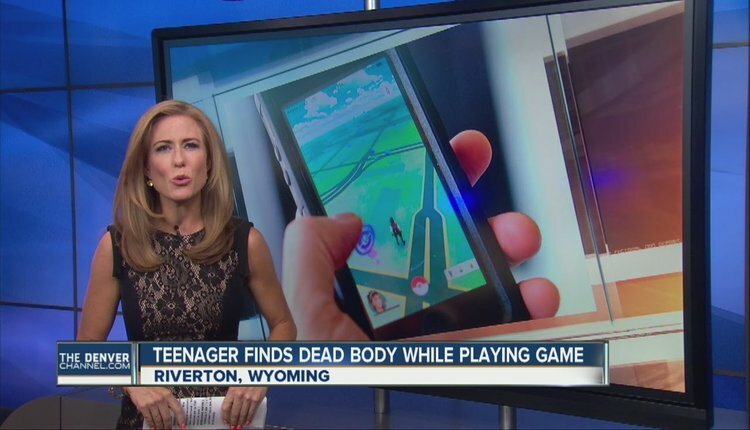 One of Pokémon Go’s more infamous incidents. Source. As a technology, AR is as safe as any other, depending on how you use it. The global scale of the Pokémon game was indeed unique, but it should not indicate future safety issues for other apps and games that use augmented reality at its core. Wearables like Google goggles will most likely be on the horizon for use with AR apps and gaming, providing a safer environment for use. A lot of people confuse virtual reality and augmented reality. Sometimes those terms are used interchangeably within the gaming community, but they are very different. Virtual reality uses headsets to immerse the gamer in a fantasy reality, while completely shutting out contact with the real world. An example would be a game where you were transported to another planet to fight in an intergalactic war. Your entire perception would become this other world. VR relies on computer hardware and software. Oculus Rift and Nintendo Famicom are good examples of this. Augmented reality uses built-in cameras on mobile devices to overlay objects and animations into your existing worldview. With the Pokémon GO game, users would see the actual street they stood on, but with the addition of an animated creature that wasn’t actually there. Modern game developers are experimenting with combing the two technologies into a hybrid option for some really intense gaming. VR has made significant headway in the marketplace but stands to be overtaken by AR as it bleeds into the mainstream. According to respondents surveyed, VR and AR are expected to become mainstream by 2023. There are two options for AR’s expansion into a global leader. The first is a tethered approach where the user will need to pair their mobile device with a headset of some kind. The other is a standalone option which is more expensive to develop but more convenient for the user. Some areas of augmented reality that need improvement are a better field of view (FOV), better brightness, battery life, and 3D sensing capabilities. With these improvements, we will finally see a more immersive AR experience that mirrors what the pioneers of AR dreamed about for this technology. Snapchat and Facebook are already using AR regularly in their apps for entertainment purposes. AR-enabled glasses a real possibility once the technology catches up with the hype. The investment in AR is pretty steep right now, and many companies are waiting until the components for AR are more accessible, and the consumer demand supports the need for jumping into this technology. Retail outfits like Wayfair and Amazon are using AR in their mobile shopping apps. Buyers can view a room and see how an item will look in it before they purchase; making them feel more comfortable about large purchases. Seeing the success of this application, other stores are taking their cues from these trailblazers and adding an AR component to their apps. Even PR firms are seeing the advantages of using AR-based promotion. A survey from 2016 by YuMe and Nielsen showed a 34 percent better engagement when using AR overlays in programming messages. One of the advantages of AR over VR is they don’t rely on any headsets or other specialized equipment. They work directly off your mobile device. Advertisers are also finding creative ways to use AR in the marketing arena. Under the guise of gaming, PR firms are learning how to insert actionable messages that relate to their clients directly within the app. AR offers a much more focused experience and therefore a more extended snapshot of time to impress upon consumers what they want to say. The writing is on the wall and augmented reality is not going away. In fact, this technology should see more growth in the next five years than many other tech industries.